The Arena Waterfeel Mabelle swimsuit is made of Waterfeel X-Life fabric, which is 10 times more chlorine resistant than regular lycra. It is also sun resistant. 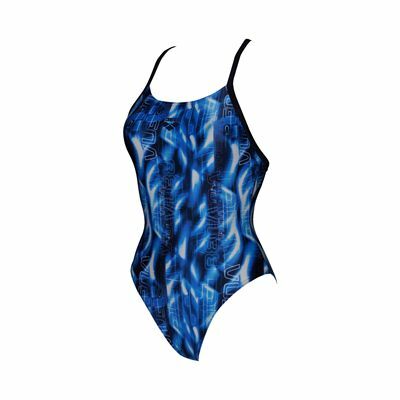 This swimsuit is ideal both for training and fitness swimming. The soft material is very comfortable and provides the swimmer with freedom of movement. It features medium cut leg, inside lining and web-line back. Available in size 32, 34, 36, 38.
for submitting product review about Arena Waterfeel Mabelle Swimsuit.